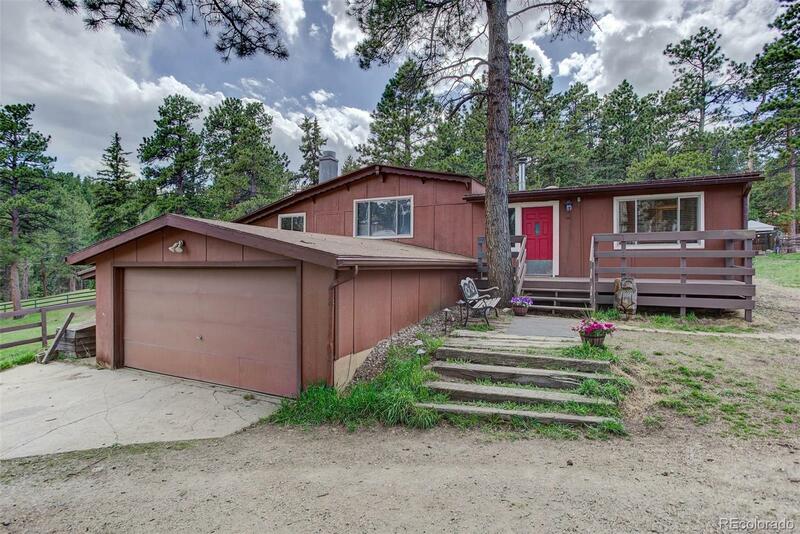 Beautiful Conifer horse property with neighborhood access to open space. Ride right out your door. This ranch style home sits on nearly two acres and has great access to highway 285 for an easy commute. The home features three bedrooms and a study, large mud room entrance, nice kitchen with stainless appliances, two bathrooms on the main level, and a sun room with a hot tub. 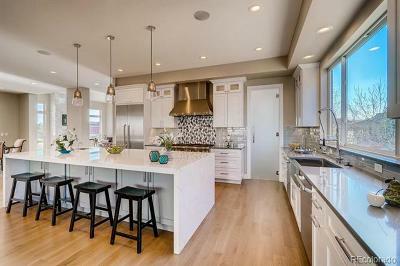 The two car attached garage opens to the lower level which has a bedroom, or could be a great gear room for your toys. Nice acreage with a two stall barn, loafing shed, and a bunk house that could be a great play room. The property is fenced and ready for your critters! A gate from the pasture gives access to the riding trails of Flying J Ranch.